What is an Argand Diagram? 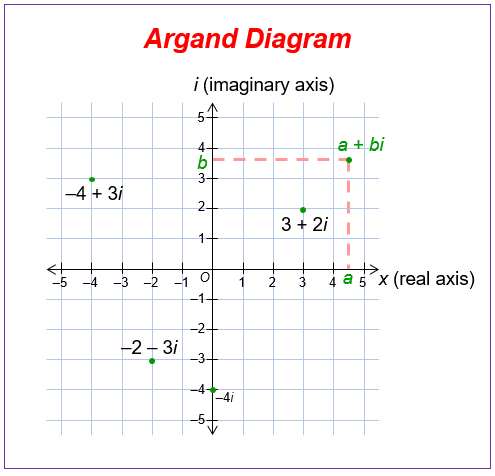 An Argand Diagram is a plot of complex numbers as points. The complex number z = x + yi is plotted as the point (x, y), where the real part is plotted in the horizontal axis and the imaginary part is plotted in the vertical axis. The following diagram shows how complex numbers can be plotted on an Argand Diagram. Scroll down the page for more examples and solutions. How to Represent Numbers on an Argand Diagram?